Russia has started test flying the first “new” Tupolev Tu-160 Blackjack supersonic strategic bomber. However, this first airframe will primarily be used as a flight sciences test aircraft — it is not a fully equipped mission capable strategic bomber. Moreover, this particular airframe was likely assembled from parts that were originally built during the Soviet-era. This first “new” Tu-160 will be used most to glean additional flight test data — which is essential for building fully-mission capable aircraft later. The Russians will likely build about 50 of the new Tu-160M — production versions of which will feature new avionics and upgraded versions of the Kuznetsov NK-32 afterburning turbofan. In the short term, Russia will buy an initial batch of 10 aircraft. The Russian expect the addition of the upgraded Tu-160M2 into the arsenal will improve the capability of their nuclear triad. “It is a serious step to advance the development of the high-tech industry and strengthen the country’s defense capabilities, because it is one of the elements of our nuclear triad,” Putin said. 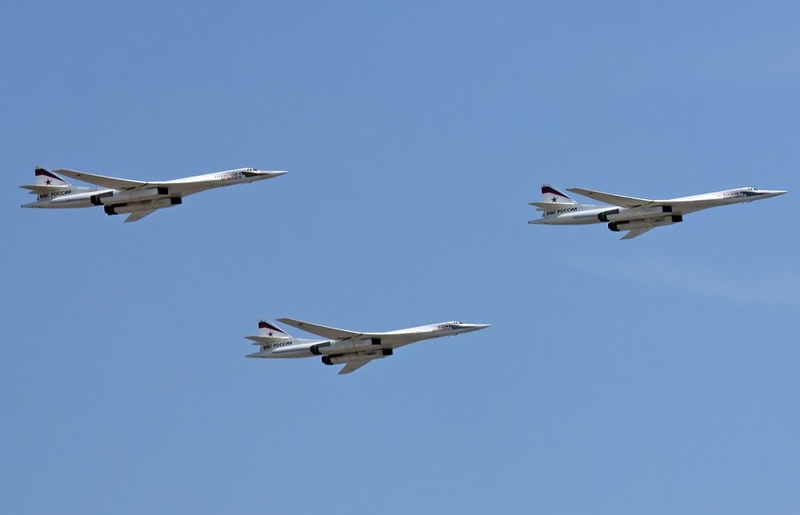 Moscow can make do with the upgraded Tu-160M2 for its strategic bomber force because unlike the U.S. Air Force, the Russian air force does not expect the massive aircraft to penetrate into enemy airspace to deliver its payload. Instead, the Tu-160 — which is capable of speeds of over Mach 2.0 — would dash into position to launch long-range standoff cruise missiles. As such, stealth is not considered to be particularly important. Indeed, one of the advantages of a highly visible strategic bomber is that it enables nuclear signaling.